There are different ways to recycle the tin cans. The tin cans are not thrown away by many people as their material is good enough. The tin cans are available in different sizes and shapes. A lot of women used to keep spices in the tin cans. They are readily available in different markets. You can check out the gallery below from which you can learn a lot ways to recycle the tin cans. 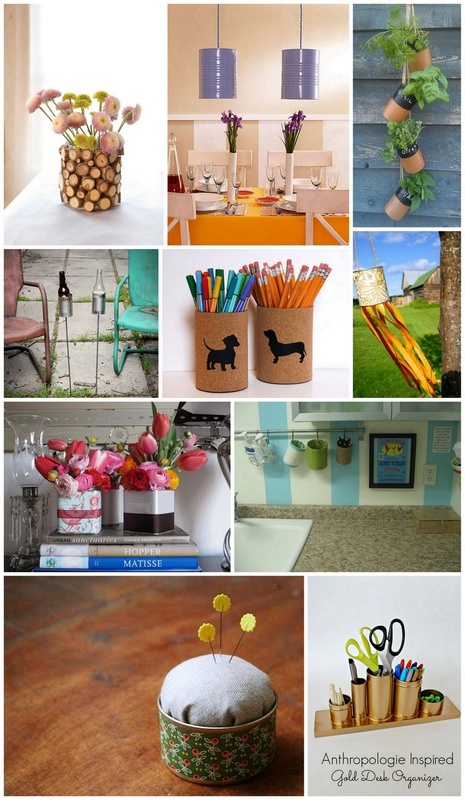 These all projects are made by the DIY experts. If you are a beginner then do not worry! You can make these projects in a short time. Do you have two big tin cans at home? 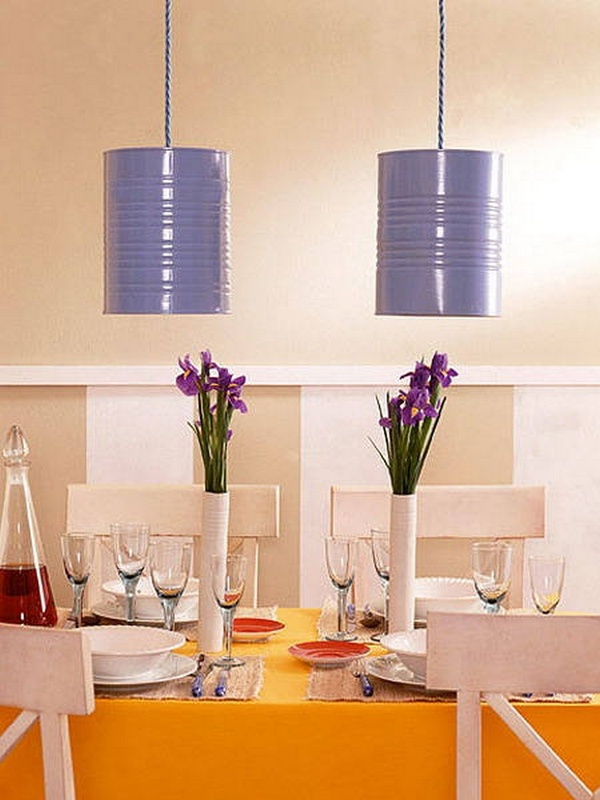 Well, you should color these tin cans in one particular shade like we have used purple color. You can dangle it on your dining table. 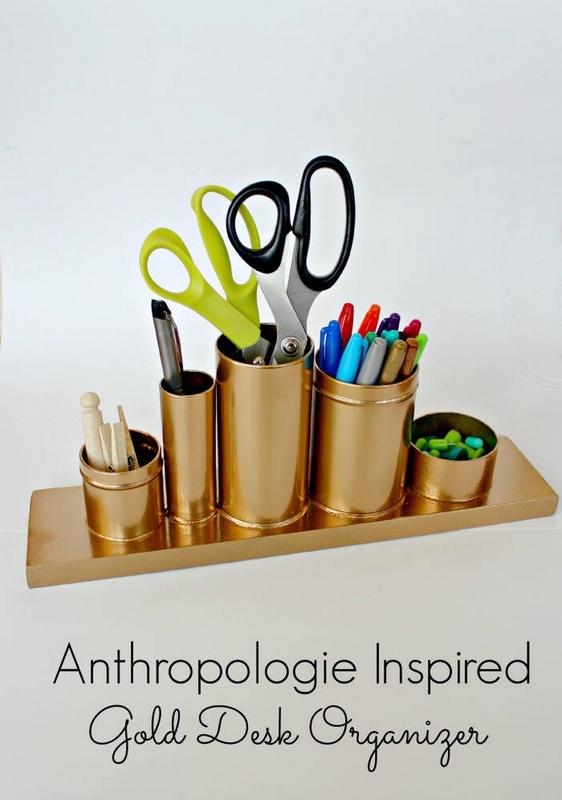 If you have tin cans of different sizes then you can make these DIY projects for your study table. 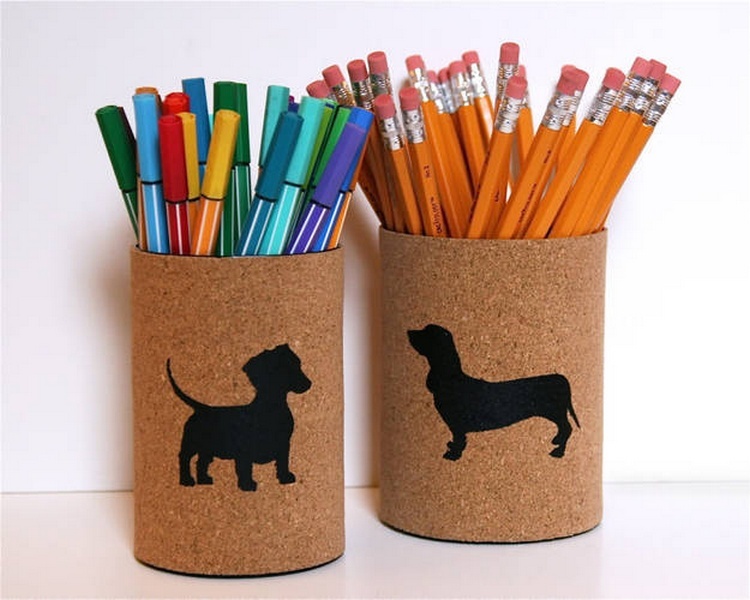 You should color all the tin cans in one color and then put scissors, pens, pencils and different things in these tin cans. 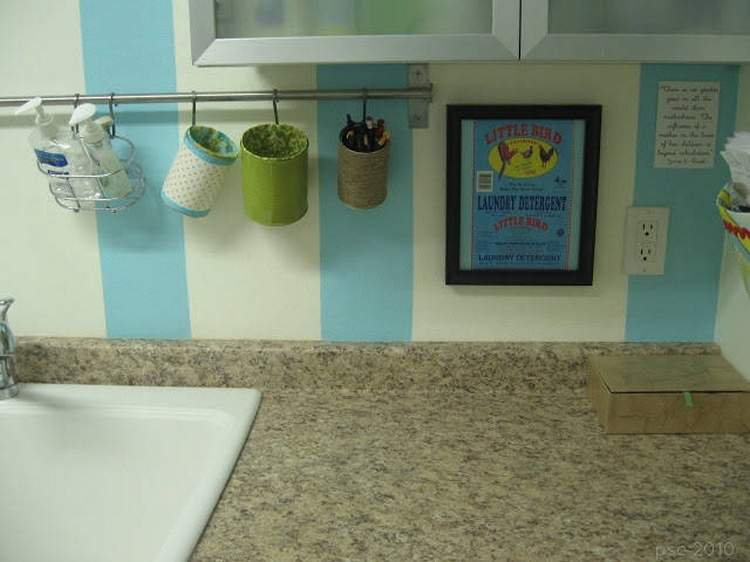 Do you want to make your place gorgeous by crafting décor pieces all by yourself? 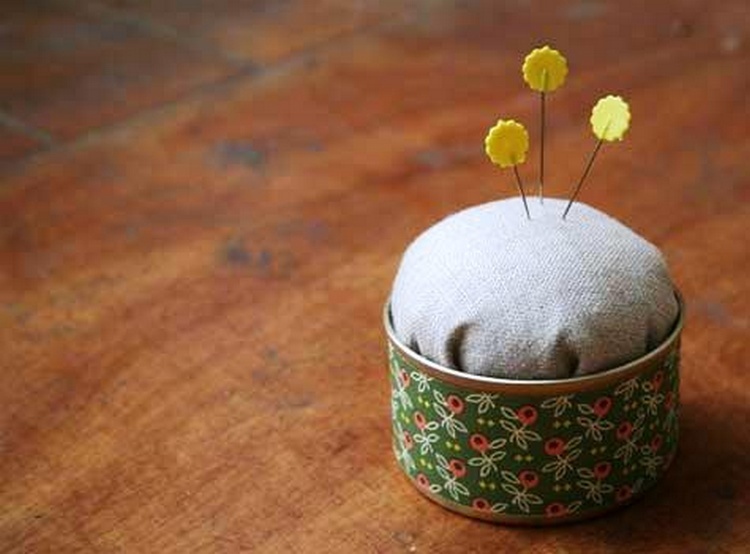 Well, you can use different stylish tin cans to do this. We have made different designs on these tin cans and then have placed flowers in them. 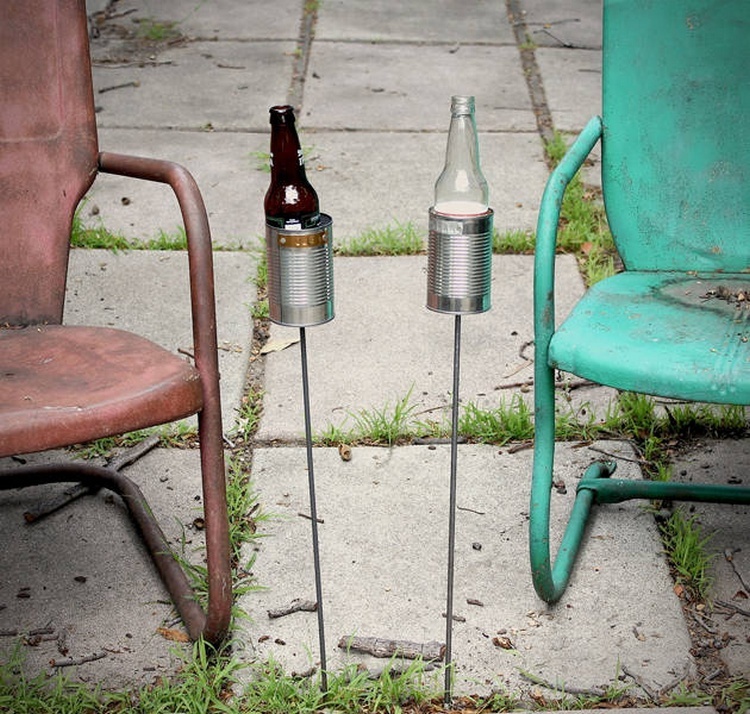 You can now use the tin cans as bottle holders. These tin cans are colored in metallic colors. 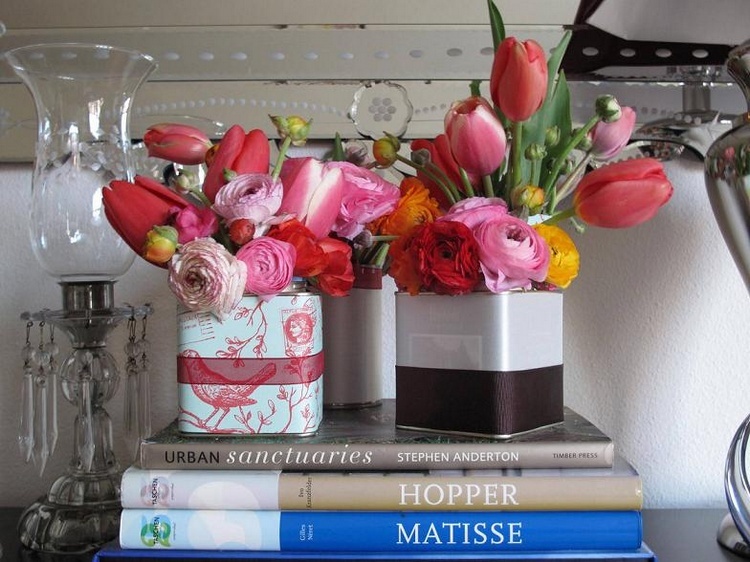 You can use tin cans of any size and shape. You would have to use thin metallic rods to put the tin cans onto it. We have used small wooden pieces which are cut in circular shapes. 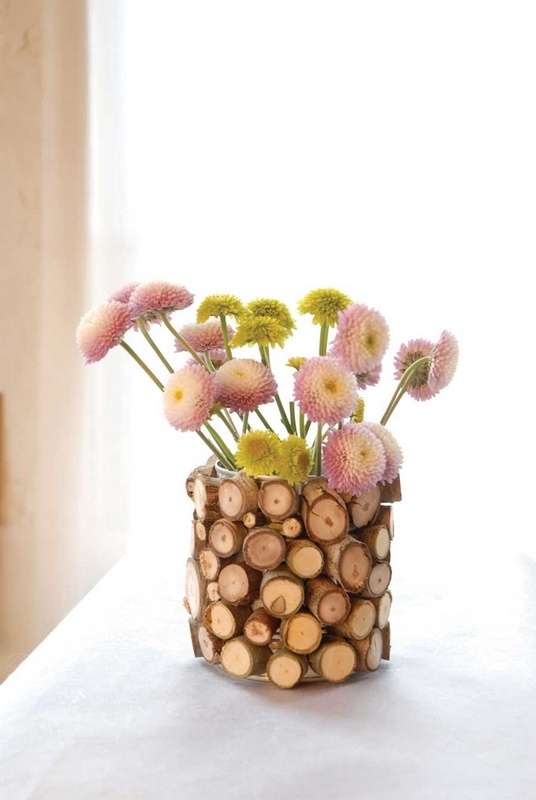 You can paste these wooden pieces on the tin can and then put flowers in it. It can be a center piece for your table. If you want to make a unique item for your outdoor space then copy this project as it is. 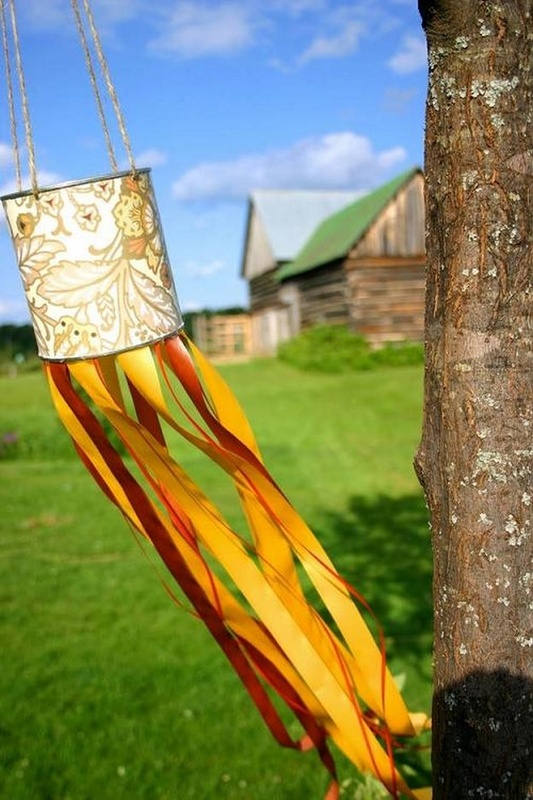 You would have to dangle the tin can with chains and then put small cloth ribbons under its base.